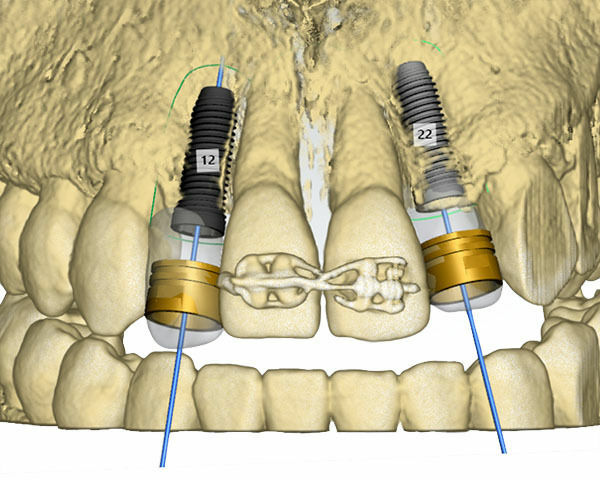 Digital planning enables highly accurate and predictable implant positioning and esthetic restorative outcomes. Digital planning software allows you to establish a diagnosis and initial treatment plan based on a virtual placement and visualisation of prosthetics and implants. The plan can then be clearly presented for the entire team and the patient. This can reduce the risk of unforeseen complications and manual errors. Digital planning reduces the overall treatment time with more efficient workflow and helps to achieve more accurate clinical and economical outcome. For the patient, the digital planning process reduces the number of visits and overall treatment time and results in a better treatment experience. The Neoss open platform approach makes the Neoss Implant System available in a vast number of planning software, please see link below for all details. The range of planning options is being continuously extended with additional software and components including the Neoss restorative offering.